For the Slavic historian (1890–1971), see Alexander Soloviev (historian). On the morning of 20 April 1879, Alexander II was briskly walking towards the Square of the Guards Staff and faced Soloviev. Having seen a menacing revolver in his hands, the Tsar fled. Soloviev fired five times but missed, and was sentenced to death. 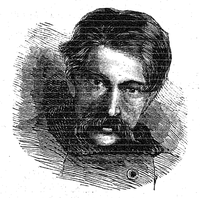 Soloviev was hanged on 28 May 1879 (in Julian calendar; June 9, 1879 in Gregorian calendar). Soloviev had acted on his own, but other revolutionaries were keen to murder Alexander, and there were several assassination attempts following this. ↑ In "Le Figaro", 10 June 1879.